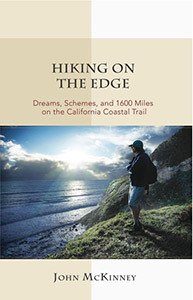 In an effort to connect Bay Area residents with the surprising natural treasures located near Silicon Valley, John McKinney, aka The Trailmaster, is pleased to announce publication of HIKE the South Bay: Best Day Hikes in the South Bay and Along the Peninsula. The guide is a new title in the Trailmaster Pocket Guide Series, created especially for hikers and designed to fit perfectly in the hiker’s pocket or pack. HIKE the South Bay offers a selection of spirit-enriching nature walks, moderate hikes, and challenging all-day adventures in the mountains to the east and west of the Santa Clara Valley. From Alum Rock to Coyote Valley to Skyline Ridge, the author shares the best day hikes in the South Bay and favorite pathways along the Peninsula. Discover wildflowers, waterfalls, and wildlife, in natural treasures located close to Silicon Valley, but a world apart. Meander the MidPeninsula on delightful hikes in Purisima Creek Redwoods, Russian Ridge, and Windy Hill preserves. Get healthy workouts and grand vistas of the Bay with climbs to Monument Peak, Monte Bello, and Mount Umunhum. 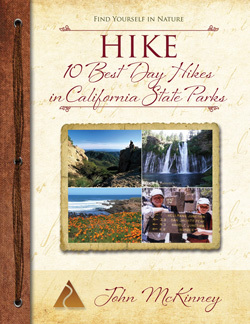 HIKE the South Bay (paperback $9.95) and other Trailmaster Pocket Guides, including HIKE the East Bay and HIKE Point Reyes are available from REI and select retailers, Amazon, and TheTrailmaster.com. 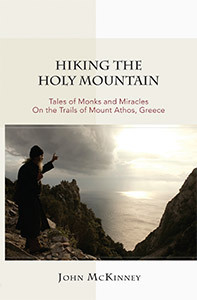 For more information about books and talks by John McKinney or interview requests, contact Cheri@ TheTrailmaster.com, 805-845-7102.